In 2018, China’s propane and butane performed well. On the one hand, by the end of August, China’s propane and butane prices increased by 11.45% and 10.40% Y-O-Y respectively. On the other hand, the international crude oil prices surged in Q2 and Q3, 2018, influenced by the geopolitical risks. Accordingly, China’s propane and butane prices hovered at highs in Q3, 2018. Furthermore, the importers, especially who mainly imported U.S.-origin resources, showed weaker interests in importing propane and butane resources due to the Sino-U.S. trade war,. In August, China officially added 25% tariffs on U.S.-origin liquefied propane and butane, weighing on the importers. In 2019, China’s mixed alkane dehydrogenation market will further develop, and more and more market participants will show strong interests in entering supported by the relatively high profits. What are China’s newly added projects of mixed alkane dehydrogenation in the future? Will future deep-processing profits remain high? Does Sino-U.S. trade war have a far-reaching impact on imported propane and butane? 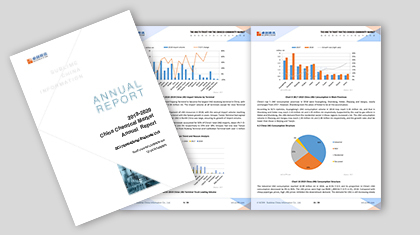 This report will provide market participants with a unique perspective on how to gain insight into the fierce fluctuations in China’s propane and butane market and adjust business strategies in time according to market demand. Besides, this report will provide accurate market intelligence information and scientific decision-making basis for strategic investors and corporate leadership on how to choose appropriate investment opportunities and make strategic planning respectively. 1 To make market participants directly understand the supply pattern of propane and butane via presenting the output, import volume and export volume of propane and butane. 2 To make market participants directly understand the demand pattern of propane and butane via presenting the output and profit analysis of propane and butane downstream deep-processing industries. 3 To forecast future propane and butane prices via analyzing the future supply, development of deep-processing industries and other influencing factors.